Have a blind date... with a book! Happy Valentine's Day! 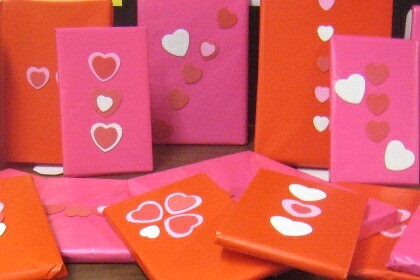 To celebrate, why not take a chance on one of our "blind date" books that are sitting across from the Circulation Desk. They are waiting for you!